DIY sash window draught proofing materials. Single glazed original sash windows that have been manufactured over one hundred years ago, in most cases, are draughty, noisy, rattle, and allow dust ingress. There are many ways in which we can improve the insulation of these original sash windows and it does not need to be all that expensive. 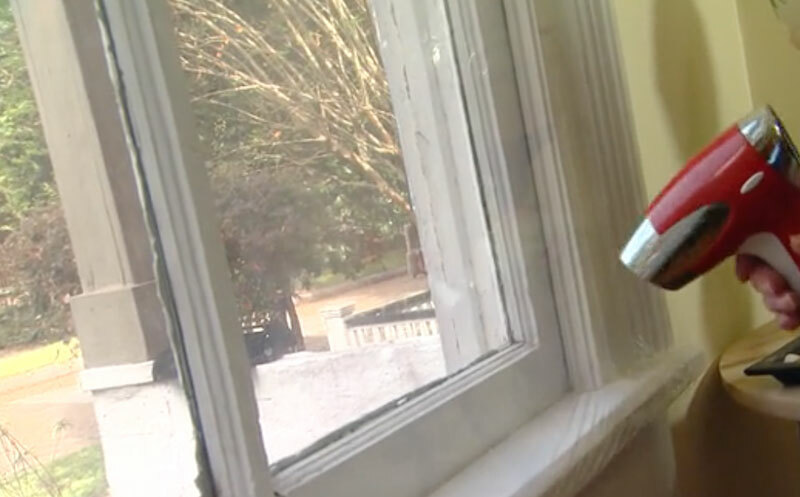 Let’s take a closer look at DIY sash window draught proofing. If your quite happy having your window fixed shut because it’s rarely, or possibly never used, then it would be advisable to seal the window closed with a silicone. 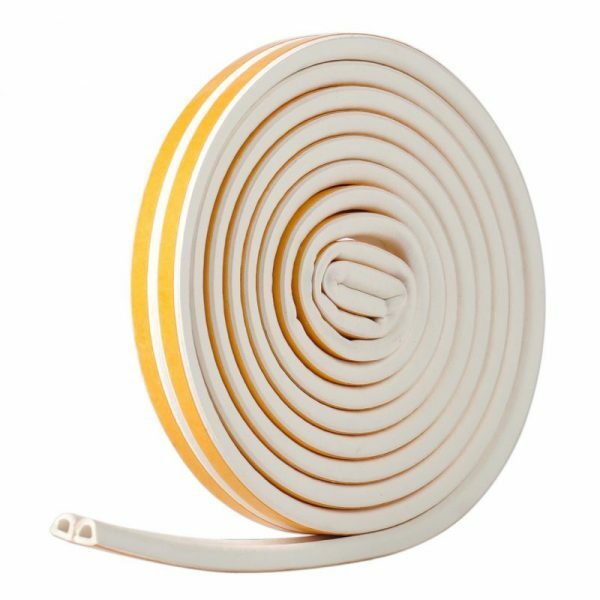 This completely eradicates the draughts and will have a big impact on the temperature of your room when you crank up the heating. The transformation will be quite shocking and by far produces the best results of all DIY sash window draught proofing, and instantly too. Within twenty minutes the room will be warmer than you’ve ever noticed as a result of this simple trick. Please bare in mind this solution is quite final and to reverse it you’ll need a professional sash window repair company to remove sashes, and service completely. There might be another difficulty with this method. If your renting then you’ll need a fire escape with a fully functioning window. The other problem might come in the form of not being able to claim energy efficient uprating on your EPC certificate. Despite the fact sealing a window shut is more efficient than a draught proofing system, and is going to offer the same reduced carbon footprint, it might not be recognised as such. Here’s a picture courtesy of energy.gov showing how to seal sash windows closed if your on a budget. Sealing sash window shut to improve draught proofing. The thing to consider here then, is if you are a landlord or intend to rent the property in near future, do not consider this as a quality solution. On the other hand if it’s your home and you really believe you’ll not need to open the sash window in question, then sealing shut costs less than £2 and saves over £200 on the price of sash window draught proofing, That is if you can find the right London sash window company to do the job at the trade price quoted! There is one final piece of advice on this solution, you might consider only sealing half the window shut. This will cut draughts in half, still leave the correct opening for fire escape, and leaves the option of lower sash draught proofing which would be good enough to effect EPC certificates to save energy in the home through sash windows. Just a thought! Should you still use your sash window then a sensible option is to purchase stick on draught proofing to seal the perimeters of your sash windows. This isn’t always that effective long term because you use your windows, the movement will dislodge the draft seals, but it certainly is cheap and very easy to install, even if it’s no where near as effective as a quality sash window draught proofing system. Almost anyone will be able to successfully draught proof their sash window using this DIY sash window draught proofing method. On top of that, if the install is neat and tidy, it shouldn’t effect the function of the sash window all that much. Please take a look at the external stick on draught proofing in the image provided below. Professional systems have draught seals that are machined, and rebated into the original sashes, parting beads and staff beads are then replaced with a like for like mould that has a draught seal hidden and pre-installed.The end result is an energy efficient, draught proof sash window that offers excellent financial incentives and paybacks. Depending on your postcode in London you may even be entitled to 75% of the costs paid for. It’s certainly worth checking out. There will be some paperwork and it’ll take time but well worth getting some hard earned money back! Curtains for draught proofing courtesy of Hayburn & Co. Many sash windows in London are in need of structural repair. It is far more environmentally friendly and efficient to effect sash window repairs, rather than replacement London, rather than replace. The loss of energy from entire replacement is considerable, even if it is a timber window replacement. We must also consider the manufacturing energy use when considering repair or replacement of sash windows. Replacing a window entirely uses a massive amount of energy when compared to specific sash window repair like the replacement of a sill section, or a lower rail of a sash. It would be very damaging to the environment if we condemned every sash window because it needed a little tender loving care. I would highly recommend reaching out to sash window draught proofing and repair specialists before having a quote to entirely replace wooden sash windows. The cost of UPVC windows on the environment is well beyond the benefits and comforts offered. The lifespan of UPVC has come into question over the last twenty years. Extrusions fade quickly, and hinges or brackets fail just as quickly and in most cases ahead of time tested double hung sash windows. The time of sash window servicing intervals is now around ten years thanks to modern sash cord, and uprated production technology. This makes a plastic window with a ten year guarantee seem a great deal less appealing than only a few years ago. Just as well, the damage to the environment is irreversible from this plastic currently. 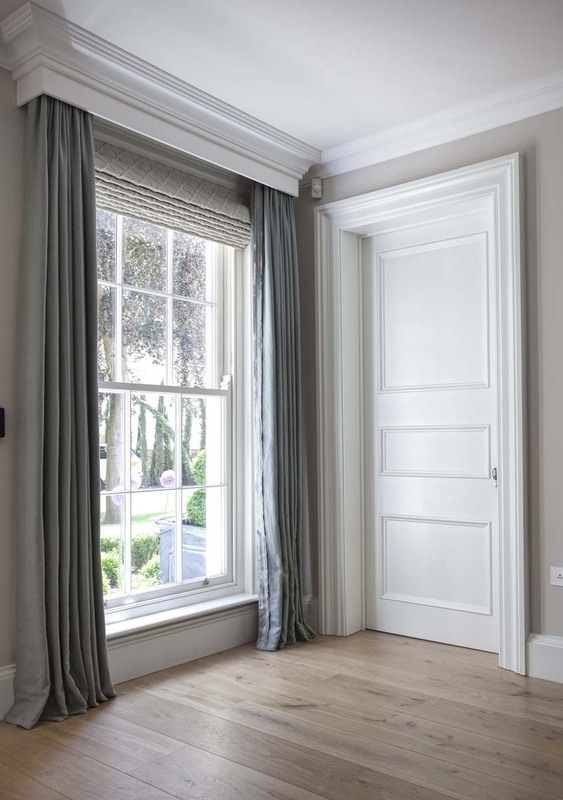 If you don’t like any of the DIY sash window draught proofing options provided so far or professional draught proofing is too expensive, your hard to please, but there is another couple of solutions which might tick all the boxes and costs a few pounds as well. Homemade secondary glazing from clear plastic sheeting. The method is quite simple. We build a slender wooden frame, and then fold that plastic around the frame and tack plastic in place with a heavy duty staple gun. Note, the staple gun costs a tenner but saves hours and hours if you’ve a run of windows and you’ll certainly thank me later for the tip! Then once all put together you can install the frame carefully with a few pins or screws. There is a really big benefit with sash windows that are old not being square due to subsidence, this method removes the need to fill uneven gaps. Personally if I had a drill, I’d pilot a few screw holes and then attach. Once the install is made, removal and refit is extremely easy as you can just follow the previous holes created. It means opening and closing of the windows is not problem. You also cause no harm with fire safety regulations, and while you don’t improve the EPC, when you’ve had enough of the quick fix your left with a few screw holes to fill – a tiny amount of damage compared to sealing a window shut entirely. Here’s an example of this being done by Danny Lipford. He prefers to stick the plastic to the frame using a hairdryer. I think this is more difficult and fiddly than a frame but works equally as well and reduces the cost of draught proofing that little bit more. Plastic sheet secondary glazing by Danny Lipford. There’s just one final trick for DIY sash window draught proofing on a thrifty budget and that is cling film scrunched up and pushed into all the gaps around your sash windows. It takes a great deal of time, and opening of the window is a somewhat disheartening because all the time you spent installing the cling film is wasted the minute you open that sash, as it’ll all need removing to regain smooth travel of your window. The other issue that arises from blocking the sash travel is the fire hazard of not being able to open a window – something you’ll need to weigh up before taking on this project. The big benefit of cling film is there is zero damage to the sash window which is great news if you’ve just decorated, and the aesthetics are not hindered at all as a result of the cling film being totally hidden. The other good thing with this installation method is the tools required – blunt knife and patience. 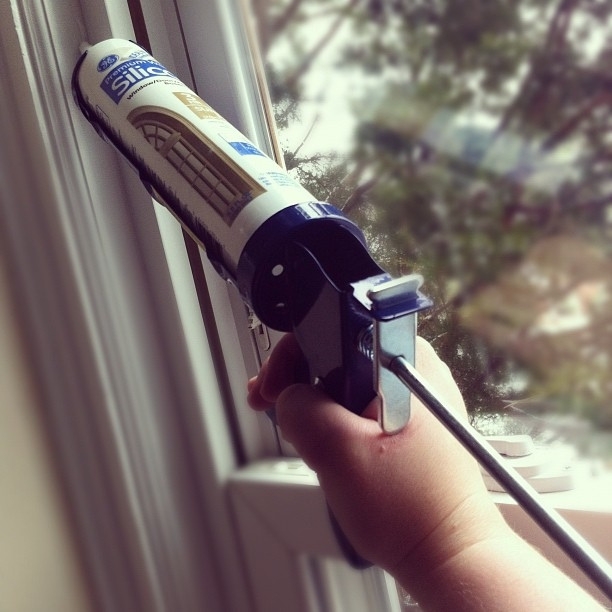 DIY sash window draught proofing is doable for any skill rating. I hope you’ve enjoyed the write up on DIY sash window draught proofing and please let me know if you’d like some more informative posts on low costs sash window upgrades.